The AquaBound Manta Ray Carbon kayak paddle with a Posi-Lok ferrule is designed to provide superior performance with low swing weight by combining a carbon shaft with carbon abX II blades. The AquaBound Manta Ray Carbon blades have a slightly larger surface for athletic paddlers who prefer a high angle paddling style with more bite. It's ideal for those interested in fitness, adventure racing, or those who like to use an aggressive, high-angle paddle stroke. The Manta Ray Carbon features the Posi-Lok adjustable ferrule system. Posi-Lok is an adjustable ferrule system which allows the paddle to be feathered at several angles and makes adjustability on the fly a breeze. Left handed paddlers, or paddlers who enjoy changing the angle of the paddle to suit the conditions, will like the versatility of the Posi-Lok ferrule system. Simply pinch the dual-button release and twist to your desired feather angle. The ferrule clicks firmly into the lock position to achieve a rock solid connection with no play whatsoever. The Posi-Lok ferrule does NOT allow for changes to the length of the paddle. I like this paddle but I broke the end of it first day I used it pushing off a log. I wasn't doing anything different that when I used my Aqua Force paddle for the last 3 years and it never broke. I can still use the Aquabound paddle, just had to grind off the broken part. By far the best paddle I have ever owned. Light weight, hand filling shaft diameter, solid lock up and rugged blades. It was highly recommended to me and I would recommend it to anyone looking for a new paddle for their fishing kayak. I could not be more pleased with this paddle. Light weight and the posi-lok syatem is easy to use and very tight. Highly recommended. this is a very, very nice paddle. It was a big more expensive than the Werner Skagit paddle I was using, but I paddle a large kayak and needed more power. This paddle delivers it with no flutter. I love this paddle. 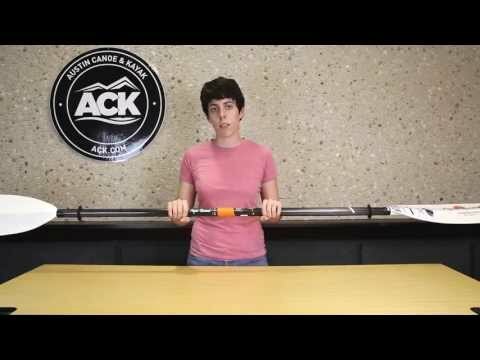 It is very light and with the Posi-Lok system it is easy to adjust it to my paddling style. I did install Yakgrips on the paddle because of the grooving inherent in the design of the paddle shaft. It makes the paddle more comfortable for long trips and it works perfectly for me. Great paddle. I was using the wrong paddle for a while and chose this one. Night and day difference. Lightweight, easy to use, well performing collars, and strong. On my initial trip I was paddling upstream on the Missouri River. Easy to use and creates big, strong results. I thought about getting a Werner but chose this...I am super happy. My next three paddles will likely be AquaBound. This paddle is great! I recently upgraded my kayak also and I think I'm more excited about this paddle! If you're on the fence... do it! Excellent Paddle so far. Used in a Florida bay four days in a row and loved it. Very light and so far it feels like a one piece paddle. Excellent quality, very light weight, locking mechanism is tight; no play. Very pleased with this paddle, would buy again. Nice light even balanced paddle, very satisfied and you will be too. Bought this as an upgrade to the one provided in the WS Tarpon 120 package, and am pleased with the decision. It is easier on the hands and better performing for multi-hour trips. Good advice was provided by customer service- same as always for the many purchases I have made from ACK. Great product for the price. Love the posilock system way superior to the single push button conventional system. Small weight penalty but if you use varying angles it is well worth it. A great paddle at a great price and shipping was prompt. It couldn't be better. The slightly larger blade does translate into a 'bigger bite' in the water. Can feel the increased resistance - and it does provide increased speed (confirmed by GPS) at the same stroke rate. Pleased with product and with the service from Ausin Kayak. Excellent paddle - light as a feather and makes paddling experience so much less tiring and enjoyable. VEy smooth locking system. Efficient customer service from ACK. So far so good. Light paddle with good power. Posi-Lok works as advertised. Bought this paddle to replace a fiberglass shaft, nylon blade paddle bought at a big box store when I first got into kayaking. Dont get me wrong for the price the big box store paddle served its purpose until I gained more experience. Saying that WHAT A DIFFERENCE if you can afford a better paddle it is definately worth every penny. Not only is the paddle lighter but no flutter, it is just so smooth. Would definately recommend, I think any level of paddler would be pleased to own this paddle. Love it. Lightweight, adjusts extremely well, and it's fast. Especially for the price, this is an awesome paddle. Had a touring 230 stingray stolen so I purchased this paddle. 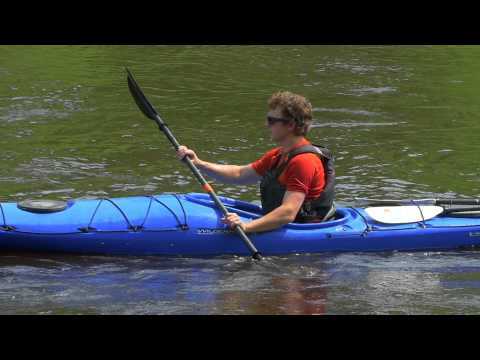 Has a slightly wider blade, but is ideal for coastal water paddling. Would highly recommend this manta ray paddle. I use it for my manta ray Kayak. The best all round Kayak made in my opinion. I enjoy my Kayak with this paddle. Great paddle! Very light and fast. Light, strong and no play between the 2 halves of the paddle. Adjusts smoothly and easily. Nice paddle. I like the TLC system. Very solid. Longer paddle works great with my 14.5 ultimate. ACK is the place to shop! Awesome weight and balance. Excellent durability. I got the Manta which pushes my 13.5ft boat incredibly well and with ease. Can't go wrong for the price. I haven't feathered it yet, but I am sure I will. Great paddle for our Tarpon 160's. Very light, no play in the shaft. Ours has the standard size shafts. It has made the longer trips much easier than with our old aluminum paddles and we like them more than the high dollar rentals we have tried. The 240 length works great for us. The wife didnt think she needed one, but now that she has tried one you couldnt get her to go back to her old paddle. Worth every penny. I love my new Manta Ray. I was looking for something that fit my (small sized) hand better and weighed a lot less than the aluminum paddle I was using. This paddle met and exceeded both of my requirements. It's great and I would highly recommend both the paddle and ACK to anyone! A: This is a 2 piece paddle. It is possible to ship to Switzerland. You will need to follow our international customer's link upon checkout. This will allow us to quote you on shipping cost. Please email customer@austinkayak.com if you have any questions about this process.